It's been a while since I read a book that was pure fun. 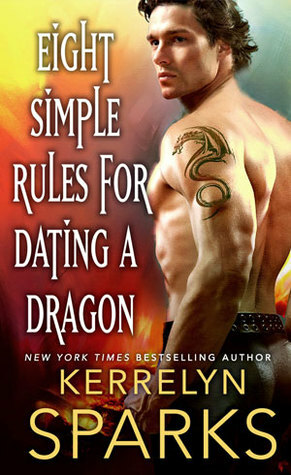 One with hunky men that just happen to turn into dragons, beautiful elves and trolls who are more than they appear to be. One that takes you away to another world that demands that you suspend disbelief and enjoy the tale. This book is the definition of brain candy. I very much enjoyed this world and getting to know the characters. While the book did center around Gwenmore, Silas and Puff, Ms. Sparks didn't stint when it came to the secondary characters (and I am hoping that they all get their own books). The pacing was smooth, the dialogue flowing and it was well editing. Once I entered Gwenmore's world, there was nothing to jar me back to reality except the ending of the book. I do recommend this book to my readers who enjoy paranormal romance. This is actually the third book in the series and can be read as a stand alone book though I am going to have to go pick up the other two because I want to know the story behind some happenings that are mentioned in passing.